France24 reported this week that Egyptian women are "out in force" at the Tahrir Square this week. 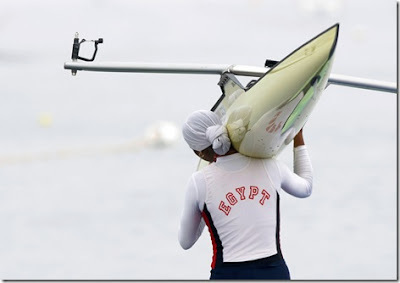 And as today could be the most significant day in modern Egyptian history, it seems a good moment to post again about another inspiring woman from Egypt. 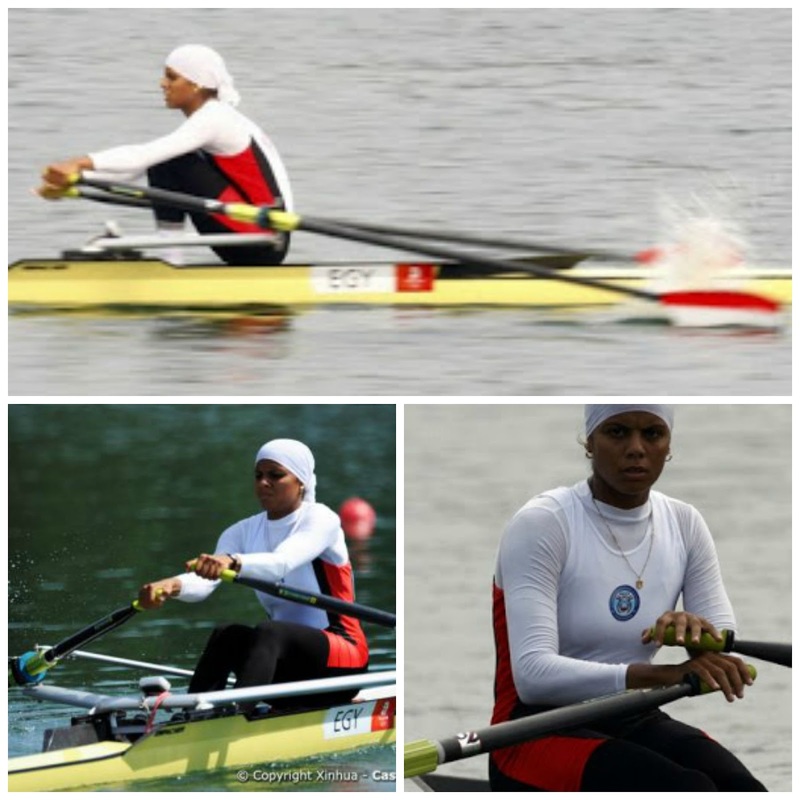 Heba Ahmed made it to the quarter- finals in the single-scull in Beijing - getting a raft of coverage for her clothing and her political stance in competing at all - but had earlier taken bronze at the All Africa Games.She was one of the first athletes to compete at an Olympics wearing a hijab. Looking for recent reports of her competition didn't bring up much, the coverage is really dominated by the clothing issue once again. Fair enough, she didn't win gold but surely getting to the last 24 in any world competition deserves a small mention somewhere? I posted here and here on some other Egyptian athletes. 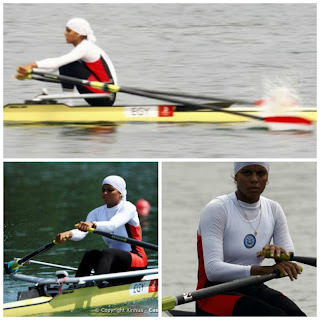 By the way check the latest information about the All Africa Games 2011 here, like events, programs, All Africa Games 2011 Schedule, dates, All Africa Games 2011 Results and more from All Africa Games 2011.